Check out the list below for 35 hidden tricks hidden inside Chrome that you really need to be using. You can automatically search through many websites without actually going to those sites, as long as they’re in your list of search engines. This trick is beneficial if you wanted, for example, to go directly to the Wikipedia article on orangutans without visiting Google or Wikipedia’s front pages first. First, go to Settings > Search engine > manage search engines. There, you’ll see your default search engine (the one Chrome uses whenever you type a query into the Omnibox), other sites already available for quick searches, as well as the option to add other websites to the list. So, for a quick Wikipedia search, type “Wikipedia.org” in the Omnibox, and on the far right, you’ll see a prompt telling you to press tab to search within the site. Once you press tab, you’ll see “search Wikipedia” written in blue on the left side of the Omnibox; type your query and Chrome will only search within Wikipedia. Hit return, and you’ll be taking in the internet’s collected knowledge about our fuzzy orange friends. This function isn’t specific to reference or search sites. You can use the Omnibox to search directly through nearly any site—even PCMag.com—as long as it’s included in your managed list of search engines. Chrome will automatically add these “keyword searches” to any site you visit. Google search also packs a virtual metronome. In case you’re unaware what that actually is – Metronome is a tool that simulates an audible beat at regular intervals that the user can set in beats per minute (BPM). Just search for “Metronome” and the respective app will load. One of the biggest perks of being enrolled in Google’s ecosystem of online services is how seamlessly they’re integrated. Google search is no exception and therefore, can be used as a centralized lookup for all your data on Google servers. For instance, you can search “show me my photos from Singapore” and it will pull the appropriate results from Google Photos. You can also search for contacts, emails and more. I’m often surprised how many people don’t know about “Incognito mode” (aka Private Window in Firefox and Safari). When you go Incognito, your browser doesn’t keep track of browsing history, nor will it store any cookies from your browsing. It’s a very good option to have when browsing for things that you might not want the world to know about. We should note that Incognito mode will not block your behaviour from being monitored by work or by the websites you visit (they can still log your IP address). Highlighting a word and performing a drag and drop is fundamentally the same as performing a cut and paste, so it stands to reason that you could just highlight a word or phrase and drag it into the Omnibox to perform a Web search. Conversely, you can also just right-click on highlighted word or phrase and you will prompt a pop-up option to conduct a Google search (on a Mac, Control-click on a highlighted word). You can right-click to search on the desktop, but there’s a handy equivalent for the Android mobile version. Just highlight any word or phrase via a long tap and Chrome will create a search for that term via a pull-up menu—just slide up once you see the prompt at the bottom of your screen. If you come across a website you will want continual and easy access to, you can quickly add it to your Bookmarks Bar by highlighting the URL and dragging directly down to the Bar. Boom. You can edit it later if you want to change the name. You can drag a URL in from sources other than Chrome as well. You might have configured reminders through the Google app on your phone. However, in case you’re on the desktop and want to add a reminder, you can simply type in the phrase in the search bar and do so. For instance, search for “remind me to buy eggs at 8 PM” and Google will pull up the dedicated interface. In addition to that, it allows you to set up location-based reminders as well and has them sync with your phone. Similarly, Google search has little built-in apps for setting up timers and stopwatch as well. All you need to do is search for them. There’s also an option for going full screen while these are in session and for the timer, you can even mute the sound if you’d like. Chrome also offers an elegant, baked-in feature that allows users to add a clickable link to your desktop for later use. Just click the hamburger in the top-right corner > More tools > Add to desktop. This will prompt a pop-up window, which will allow you to name the link file (and a checkbox that gives you the option to open this page in a new window). This creates a clickable link on your desktop with an icon to represent the page. This feature is of limited use, but there ya go. If you use the web like me, you end up going to the same sites every time you log on. Conveniently, you can set Chrome up to open those same websites every time you start up. 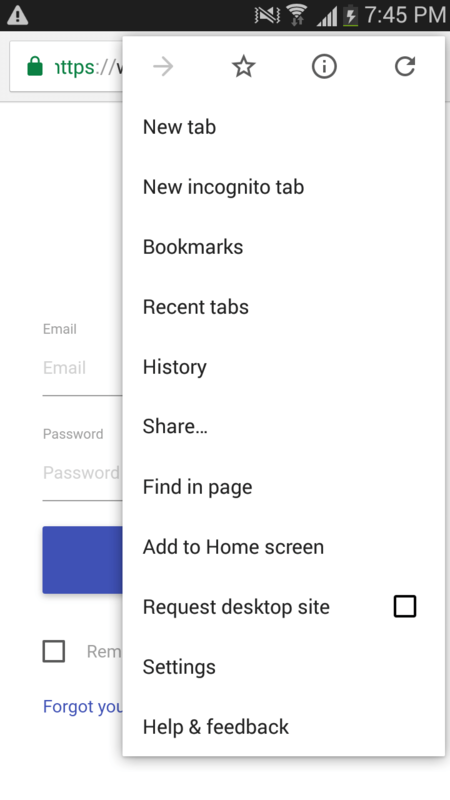 In the Settings menu, go to the section “On Startup” (or just type chrome://settings/startup in the Omnibox) and click on the option to “Open a specific page or set of pages.” You will have the option to add a new page, or you can choose the tabs you currently have open in your browser. Here’s a neat little trick that will probably only be of interest to those most desperately in need of diversion. Open your mobile Chrome browser on Android (it only works on Android), go to Tab view, swipe up five times and your tab(s) will do a little barrel roll. Note: It only appears to work when vertical. Enjoy! Chrome recently celebrated the 1000th “Chrome experiment” submission. These experiments are user-submitted projects that take advantage of Chrome’s capabilities, and you can check them out at the aptly named chromeexperiments.com (though most of them seem to work just fine in other browsers as well). Just go to Settings > Passwords and forms > Autofill settings. Here, you’ll be able to add /edit addresses and credit card numbers. You have the ability to store numerous credit cards. When Chrome identifies a form to purchase something, the credit cards you’ve saved will automatically show up in a drop-down list (you’ll still have to enter the CVC number). This feature is particularly handy on mobile as Google has linked the desktop autofill to the Chrome mobile apps. You wouldn’t let the tiny little people in your world run free without supervision, and you shouldn’t let them run wild in the digital world unsupervised either. Chrome allows you to set up a separate profile for your kid, which YOU monitor and control. First, create a new profile by going to Settings > People > Manage other people > Add person. Make sure to click the box next to “Control and view the websites this person visits from [your log-on account] and click Add. These supervised people will not be set up with their own Google identities (which means they are theoretically not being tracked and targeted by Google’s ad business). A few minutes later, you’ll receive an email link leading you to the supervised user’s page. Once there, you’ll have the ability to block certain sites, keep SafeSearch on lock, and view that user’s web activities.You can then log your kid into Chrome under their own identity by clicking Settings > Manage Other People and then clicking on their profile. You also have the ability to set up multiple identities for multiple kids. Next up is something TV fans will truly appreciate. Google has a native interface for browsing episodes of a particular show. Just type in the name + “episodes” and the list will appear. Clicking on an individual card will take you to its details if available. If you get bored of surfing the traditional web, there are a few dozen hidden Chrome pages that you can check out on your browser. 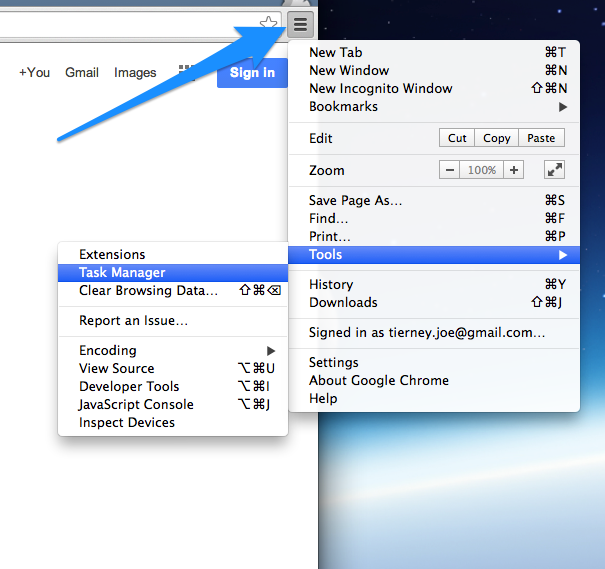 All you have to do is type the “Chrome URL” (usually begins with chrome://) into the Omnibox. Some of these addresses are pages you find via Settings, but some are only available via a direct link. Most of these pages are hidden for a reason: because you’ll never need to use them —they’re just under-the-hood info for coders and developers. You can find an official clickable list by typing chrome://chrome-urls into the Omnibox. If you’re curious as to what they mean, Ghacks put together a list of what each is used for. This tip may not be for everyone. However, if you’re like me, you want quick access to a file you just downloaded without having to open Windows Explorer. One way to achieve this is to have every file automatically download to a designated area of your PC. To change where they end up, go to Settings (chrome://settings/), scroll down and click the Advanced Settings link, and then scroll down to Downloads. There, you will have the ability to choose where files automatically download to (in my case, I prefer the desktop). Alternatively, you can click the option for Chrome to ask you where documents should go before every download. Use what works best for you. 1) The first thing to do is copy this line of code: http://www.google.com/calendar/event?ctext=+%s+&action=TEMPLATE&pprop=HowCreated%3AQUICKADD. 2) Next, go to Settings, scroll down to Search, click on “Manage search engines…” (chrome://settings/searchEngines) and a new window will open. 3) Click Add to open a new window. Paste the above link into the “search engine” field (don’t get fooled by the “search” part). In the keyword field, type “calendar” (or whatever you chose to put in the keyword field) Leave “URL with %s in place of quotes” as is (don’t worry about that crazy talk in that last one). Now just type “Calendar” (or whatever omnibox keyword prompt you would like to use when you use this function) and hit tab. It will say “search,” but just start typing in some plain sentence-style English to describe a future event with all the whats, wheres, and whens. Google is fairly adept at wringing out the details and translating it into a Calendar event. For example, try “eat all the tuna fish in the world next Tuesday at 8:30” and then hit return to automatically open an autopopulated Google Calendar tab with all the correct information. From there, all I had to do was press “SAVE” or “Discard.” For more, check out 14 Google Calendar Tricks You’re Probably Not Using. On a PC, you can zoom in or out on a page by pressing Control while rolling your scroll wheel up or down (or by pressing Control-Plus or Control-Minus). Once you zoom in or out from the default, a magnifying glass icon will appear in the right side of the omnibox. You can click the magnifying glass to manually zoom in or out or hit “Reset to default” to return to the normal 100 percent view. Conversely, you can also click Control-0 to return to the default. On a Mac, you can zoom in and out by pressing Command-plus or Command-minus. Pressing the Command-0 function will still bring you back to default. 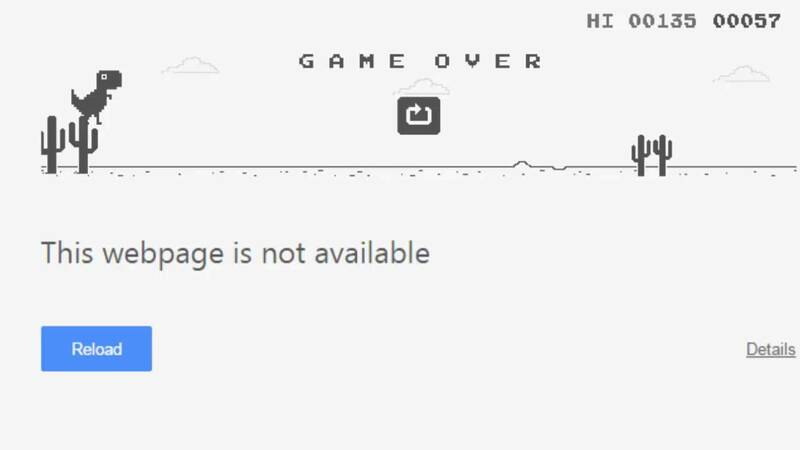 Did you know that Chrome has a hidden game featuring a monochromatic T-Rex? You can access it by manually disconnecting your device from the internet and then opening a new tab (or alternatively, by entering the following Chrome address: chrome://network-error/-106). This will prompt a page that says “Unable to connect to the Internet,” and will feature a little 8-bit style T-Rex at the top (if you watch, you’ll notice he/she blinks every few seconds). To play, just hit the space bar and you’ll enter a forever-runner game in which the T-Rex runs along a desert landscape. Press the spacebar to make it hop over the various cacti and vultures it encounters. It’s great fun for like 40 seconds. Once you open the task manger, you will see all the plugins, extensions, and tabs that are currently in progress. But you’ll also see how much of your browser’s resources each process is using (things like memory and image cache). If one of those processes seems like it’s causing a problem (like slowing down or stalling your browser), you can highlight it with a click of the “End process” button at the bottom of the window. #Boom. Chrome already has built-in Google Translate for entire webpages. But if you just want information on a select phrase or passage, you can get it with just two clicks. First, install the official Google Translate extension. Then you can highlight any unfamiliar text (that’s one click) and click the little Google Translate icon that sits in the top-right side of your browser screen (that’s two). Look at you, Mr./Ms. polyglot-by-proxy! Google is diving face first into its Chromecast / Google cast ecosystem. And now casting is baked into the latest builds of Chrome. The most direct way to do this is to right-click anywhere in Google Chrome to prompt a pop-up cast window (alternatively, click the hamburger in the top-right to prompt a pull-down menu, and choose “Cast…”). If you click the top-left side of this new pop-up menu, you can choose to cast that individual tab or cast your entire desktop. You will also have the ability to choose which device you wish to cast to (either a Google Cast-enabled TV or a Chromecast). As you might expect, Chrome plays nicely with Google Cloud Printing (the default printing method for Chromebooks). Cloud printing allows users to print to any connected printer from anywhere. It’s easy to set up any “Cloud Ready” printer, just follow your manufacturer’s provided instructions (or click here). But if you have a “classic printer,” you can still hook it up to Cloud Printing—as long as it’s connected to a computer on which Chrome is installed and any remote printers are logged into the same Google account. To set up your printer, on the associated computer’s Chrome browser go to Settings > Printing > click on Manage Cloud Print device to add or remove any printers. Here, you will also find the ability to add an option to save any documents as PDFs on your Google Drive account. Just type Timer in the Google search and set the timer or stopwatch for the duration you want it to.